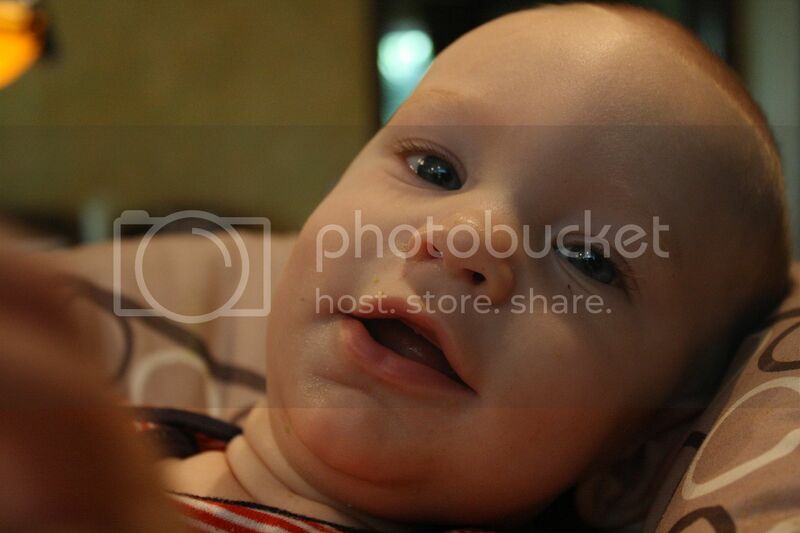 My little boy is growing too fast. At 6 months old he has one tooth, can sit up unassisted and is so skinny and long. I was just as excited to start foods with Dominic as I was with Scarlett. 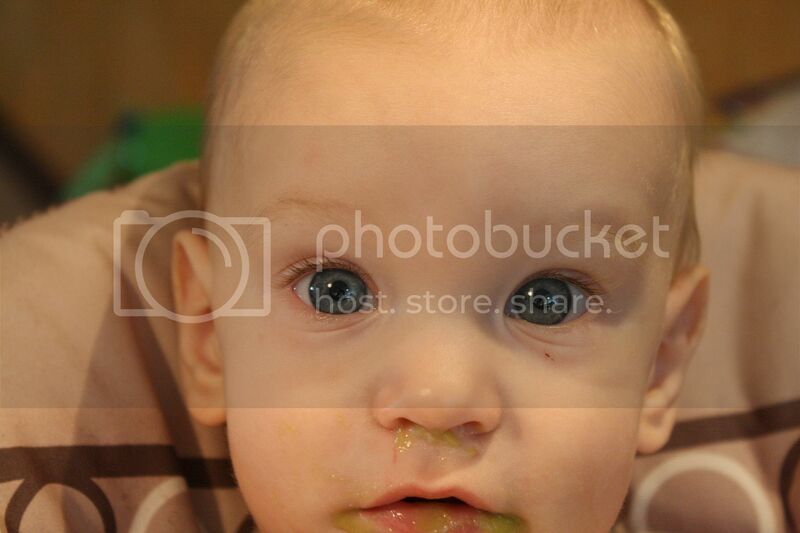 So just a few days after quietly celebrating his 6 month bday, I decided to give peas a go. 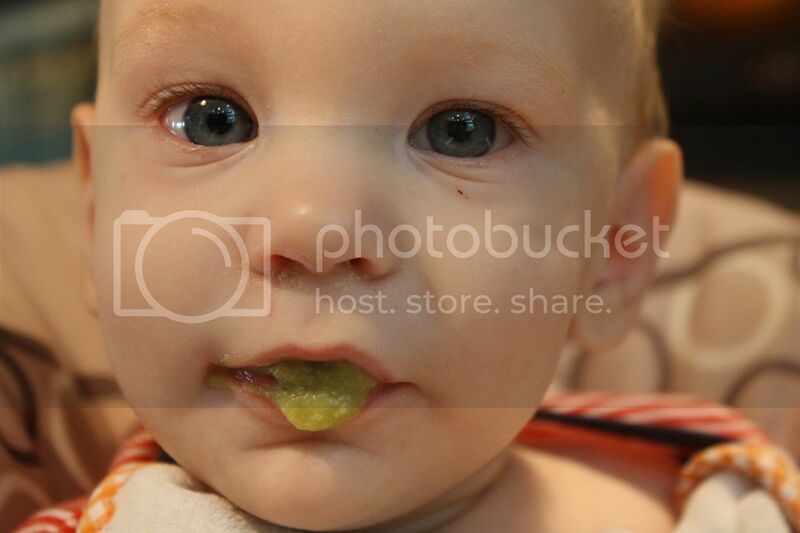 He seemed more pleased with using the spoon as a teething toy than clearing off the tasty peas sitting in its center. Regardless, he chowed the whole container down with a smile on his face and only one blow food bubble incident. I count this introduction to food a success.